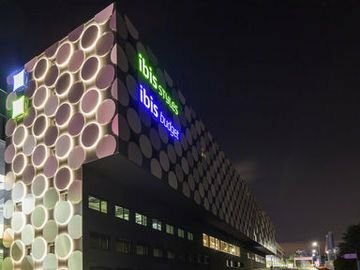 Ibis Styles Geneve Palexpo Aeroport Hotel provides 3-star accommodation in Geneva, just minutes from Geneva International Airport. It also features a 24-hour reception, an express check-in and check-out feature and a games room. There are a variety of facilities on offer to guests of the hotel, such as wireless internet access in public areas, a laundry service and a safe. 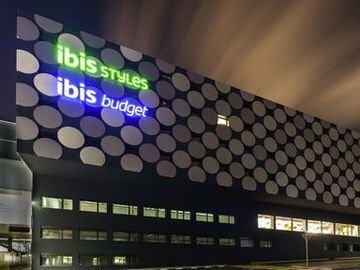 Ibis Styles Geneve Palexpo Aeroport Hotel has 111 rooms that are fitted with all the essentials to ensure an enjoyable stay. The hotel is close to Geneva Airport Railway Station, making it easy for guests to discover Geneva and its surrounding areas. The Palais des Nations and United Nations Office at Geneva are a quick drive away.